Lock in a great price for Hotel Londres – rated 8 by recent guests! The hotel was centrally located. The staff was accommodating despite our limited Spanish. The breakfast was good and had lots to offer. The building was secure. They held our bags while we explored La Serena. The room was big. They accommodated us with an extra bed for our 6 year old. The hotel is surprisingly quiet given the city centre location. Our room was big and comfortable but lacking a window. Staff were very accommodating and happy to serve us an early breakfast when we needed to catch a bus. Friendly and helpful staff and surprisingly quiet, despite being in a noisy part of town. Best value for money in chili. Very well managed friendly hotel. Prime location, low price, lovely breakfast. A hotel you will remember. Hotel Londres was well located very close to the main square in the centre of La Serena. It was within easy walking distance of the beach too. We were given a large, bright room with 3 beds. The bed was comfortable and there was lots of hot water. La ubicación, que estaba perfecta para mis necesidades, y atención. Es un hotel demasiado promedio como para más estrellas. Buen lugar si quieres una noche, da ya no aguanta. La atención del personal,,, todas muy comprometidas muy atentas. Bien por ellas. 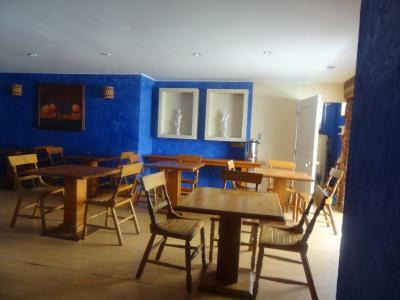 Featuring a restaurant and free WiFi throughout the property, Hotel Londres offers accommodations in La Serena. Guests are served a complimentary Continental breakfast daily. Each room at Hotel Londres is fitted with a private bathroom, a cable TV, and heating. Bed linen and towels are included. At Hotel Londres guests will find a 24-hour front desk. The property also offers free parking. Hotel Londres is a 10-minute drive from the bus station and a 15-minute drive from the beach zone. La Florida Airport is 3.7 mi away. When would you like to stay at Hotel Londres? This twin room features heating, a private bathroom and cable TV. This double room features heating, a private bathroom and cable TV. This triple room features heating, a private bathroom and cable TV. House Rules Hotel Londres takes special requests – add in the next step! Hotel Londres accepts these cards and reserves the right to temporarily hold an amount prior to arrival. Please note the hotel is located on the 3rd floor and the property does not feature a elevator. The property has a secure parking lot with cameras, which is located approximately 2 blocks away. Please inform Hotel Londres of your expected arrival time in advance. You can use the Special Requests box when booking, or contact the property directly using the contact details in your confirmation. 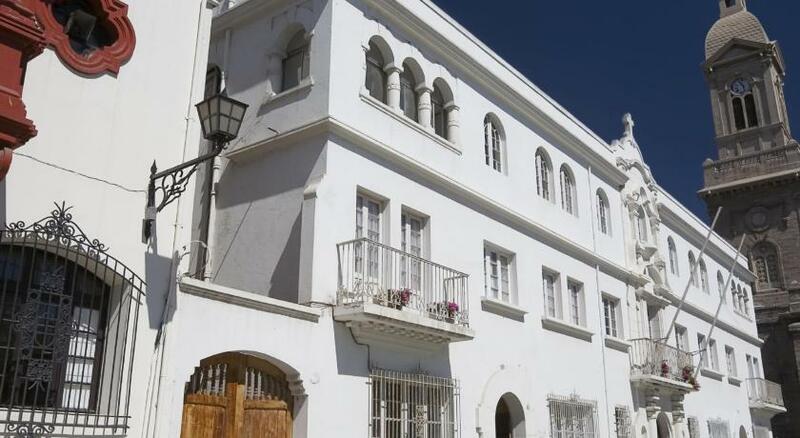 Located in downtown La Serena, the facility is old but could be decorated modern and atractive. The place lacks total coziness and warmth. Bathroom appliances old and with a bad appearance. The Kiwi juice for one breakfast. Generally the place was very worn and the communal areas in particular were not very clean. Our room had 2 windows, both with frosted glass, but no curtains so there was no view and no way to block out the light either. The windows opened onto a roof and, because the mechanisms were broken, they could not be locked and were propped shut with 2flimsy pieces of wood. The breakfast was not very nice. The only access is via stairs. This wasn't a problem for us but might be for others with lots of luggage. No window in the bathroom. Needed a taxi from bus station. The breakfast should be served as buffet because you have to wait for the attendant to serve you each time. Also the parking was locked and we gad to take the key and unlock the two gates and then take the key back to the hotel. A little uncomfortable with bags abd suitcases and all. There is no help with that.